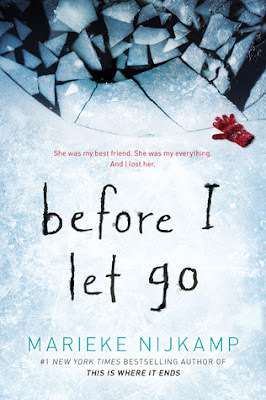 Summary from Goodreads: Days before Corey is to return home to the snow and ice of Lost Creek, Alaska, to visit her best friend, Kyra dies. Corey is devastated―and confused. The entire Lost community speaks in hushed tones about the town's lost daughter, saying her death was meant to be. And they push Corey away like she's a stranger. Review: The story follows Cory as she tries to come to terms with the death of her best friend. Along the way, she realizes that Kyra's death might not have been an accident. I was really hoping that I would like this one, but sadly it was just a cluster of whining and terrible people. There was no murder mystery. Cory blamed everyone for her friends death and the entire town blamed Cory for leaving their small community. There was no action until the final 10% of the book when some strange chase scene happens out of no where. I really tried to like this one. I really did, but sadly I had to give it a two star rating.